Shop online for 44 withers model trains. 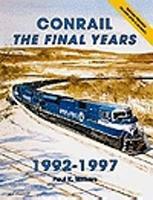 This is the Book - Conrail - The Final Years, 1992-1997 from Withers Publishing. This is the Book - Diesels of the Southern Railway 1939-1982 from Withers Publishing. 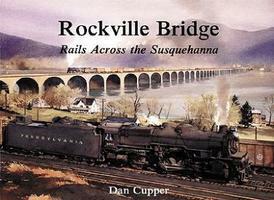 This is the Book - Rockville Bridge - Rails Across the Susquehanna from Withers Publishing. This is the Book - EMD's SW1500-Second-Generation Workhorse from Withers Publishing. 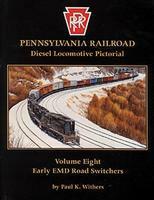 This is the Book Pennsylvania Railroad Diesel Locomotive Pictorial Volume 8 EMD GP7s & GP9s from Withers Publishing. This is the Book - EMD's FP7s & FP9s - The Dual Service Cab Unit from Withers Publishing. This is the Diesels of the Union Pacific 1934-1982 - The Classic Era, Volume 2 from Withers Publishing. This is the Book - Diesels of the Milwaukee Road ( Volume 2) from Withers Publishing. This is the Burlington Northern Historical Review 1970-1995 - Softcover, 176 Pages from Withers Publishing. This is the Union Pacific's Big EMDs - DD35 & DDA40X from Withers Publishing. This is the Book - EMD's SW8- America's Medium Horsepower Switcher from Withers Publishing. This is the Book - Diesels of the Milwaukee Road (Volume 1) from Withers Publishing. This is the Pennsylvania Diesel Locomotive Pictorial Series Volume 10 - EMD Switchers from Withers Publishing. This is the Pennsylvania Railroad Series Book - Volume 7 EMD E & Alco PA Units from Withers Publishing. This is the Book - Kansas City Southern - The Deramus Eras from Withers Publishing. This is the Book Diesels of the Reading Company from Withers Publishing.